The CORONA Traditional Style Flueless Gas Fireplace is a marvel of modern design with an open flame gas burner and 100% energy efficiency. The Corona surround is available in either solid Oak or Walnut. The fireplace is supplied as a complete package including flueless gas fire, mantel, black granite hearth and backing plate. All you need is to add an air vent and a gas supply. CORONA Traditional Style Flueless Gas Fireplace, a marvel of modern design and is the ideal replacement for any existing traditional gas fireplace adding modern linear style to your home and 100% energy efficiency. If your property does not have a chimney and you still crave an open flame traditional fireplace then the CORONA is for you. 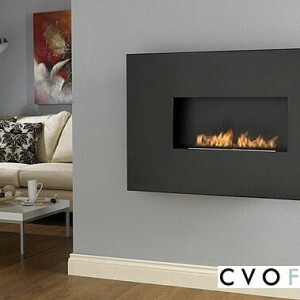 Featuring our unique open living flame flueless gas burner which is only available from CVO Fire. Supplied as a complete package of flueless gas fire, surround, black granite hearth and backing plate. All you need is to add an air vent and gas supply. 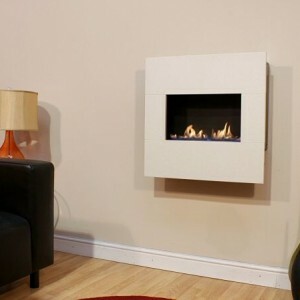 Customers who have purchased the CORONA flueless suite have been amazed by the quality of the flueless fire and surround. 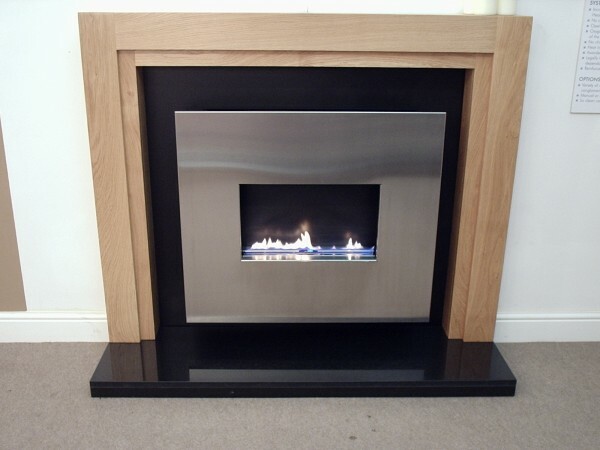 Supplied in solid natural wood the surround is finished to a very high quality. The flueless fire features our award winning Angel flueless gas fire with a satin black interior that reflects the flame and a choice of stainless of black fascia. The fire is available in either 2.7kW or 3.5kW for Natural Gas or 3.5kW only for LPG. Each power rating requires a different sized air vent and minimum room size. Please read the technical specification or call if you are unsure. If your room is smaller than 100m3 we advise buying the 2.7kW version. 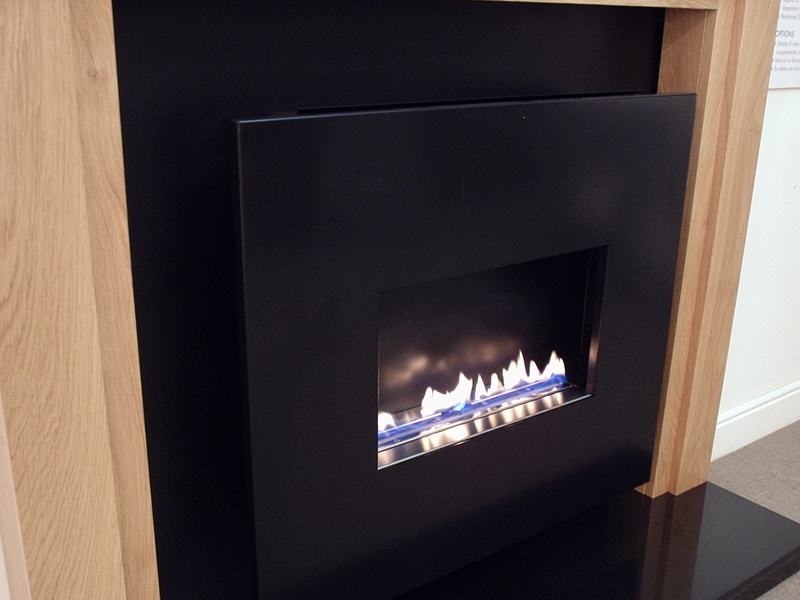 Gas Fire Fascia: Choose from Satin Black or Stainless Steel. 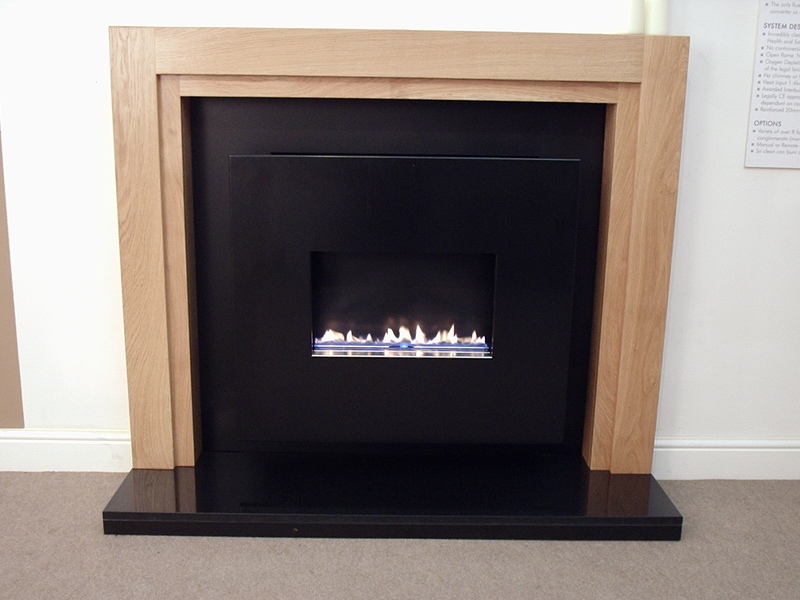 Fireplace Surround: Solid Natural Oak or Walnut. 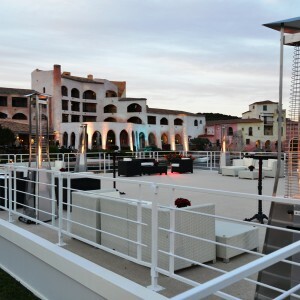 Other surround options are available upon request. Backing Plate: The backing plate is made from satin black steel. Air Vent: The air vent is shown with a 30% discount when purchased with the fire (RRP £45.71), if sold separately the RRP will be applied plus a shipping charge. It is advised to buy the air vent with the flueless fire as this will ensure a correct installation. 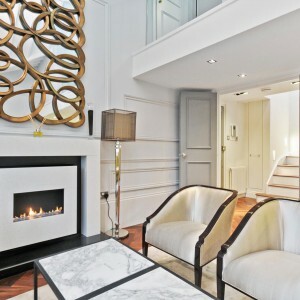 we just wanted to drop you a note to say how much we love our Corona open flamed flueless gas fire. Its a beautiful looking piece of furniture, the wooden fire surround is of excellent quality, lots of favourable comments. It warms the room up nicely and everyone we’ve come across in your company from sales, accounts and delivery have been really helpful and a pleasure to deal with. All the best.